When you need to ship a motorcycle to or from Canada, Premier Motorcycle Transport makes it easy and affordable. Servicing every region in the country, there's nowhere our advanced network of certified carriers can't go. Whether you need to ship a motorcycle cross country or a few cities away, our team of Canada transport professionals are standing by to ensure that you have a positive shipping experience. Select a region below for more information about shipping a motorcycle in that area. "Fastest & cheapest Canada bike shippers"
Best price and quickest service from Montreal to Texas. "Professional and reliable motorcycle moving"
We've used Premier twice and will be calling them again soon. No matter where you need your motorcycle to go, Premier can get it their safely. 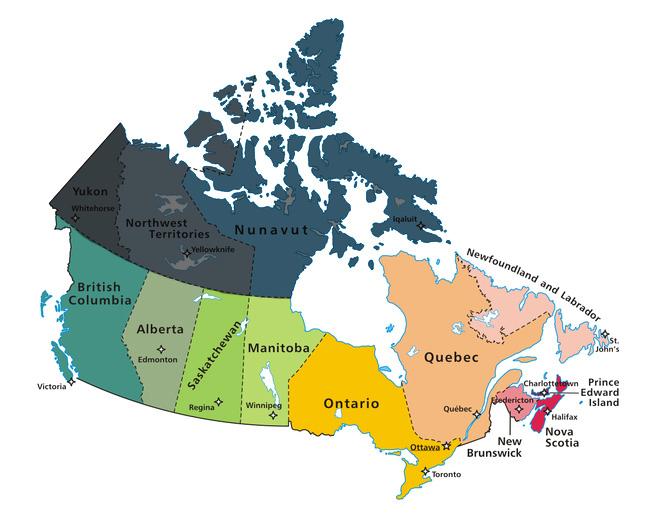 We service all regions in Canada including Ontario, Quebec, Nova Scotia, New Brunswick, Manitoba, British Columbia, Prince Edwards Island, Saskatchewan, Alberta & Newfoundland and Labrador. Your motorcycle will be transported on a fully enclosed motorcycle transporter. Enclosed carriers provide maximum protection while in transit and protect your motorcycle from any outdoor elements while en route to the destination. 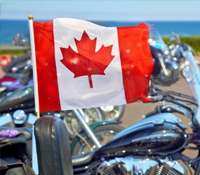 Receive your Canada motorcycle shipping rate instantly by calling us toll free (888) 257-6299. Take advantage of our affordable Canada shipping rates and save up to 50% from average pricing by other motorcycle transport companies. Have Questions About Your Canada Motorcycle Transport?